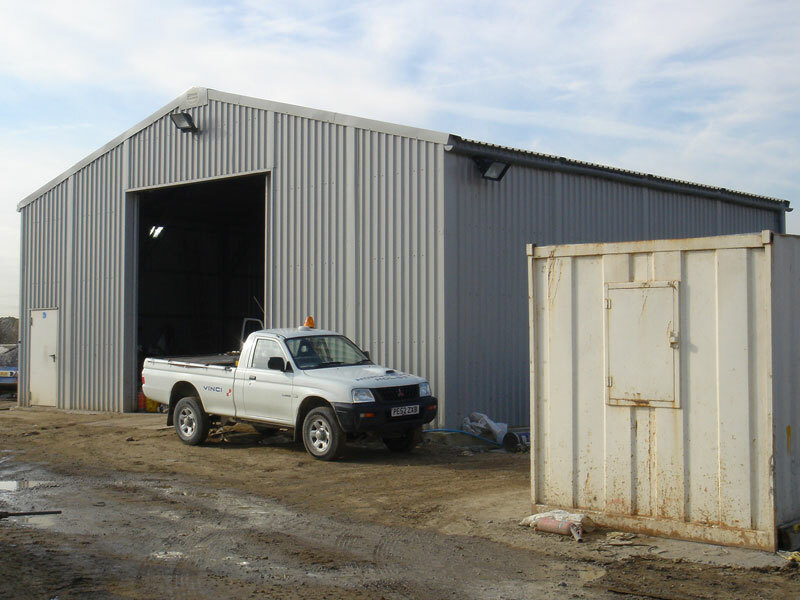 Quickway have supplied and erected buildings for people all across Britain. 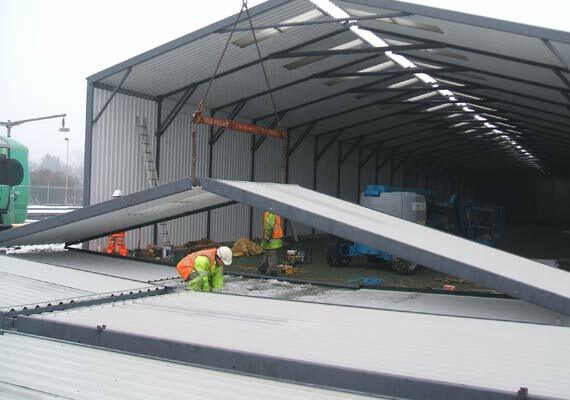 Take a look below at some of our case studies. 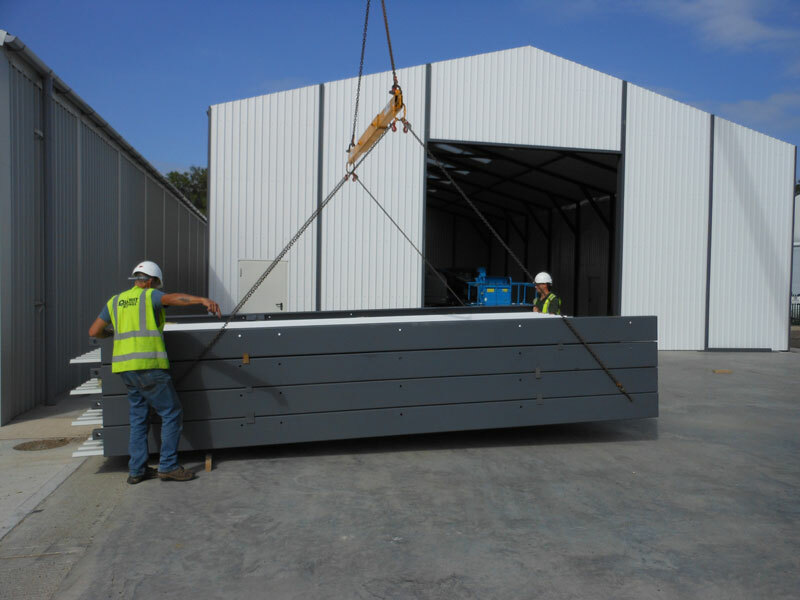 12.00 metres wide x 11.2 metres long with eaves height of 4.425 metres. 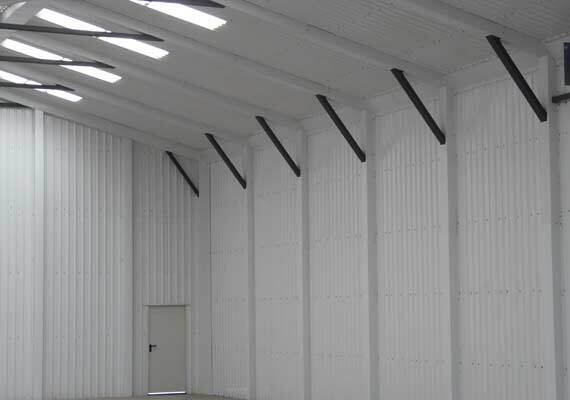 60 minutes fire protection to walls and gables. 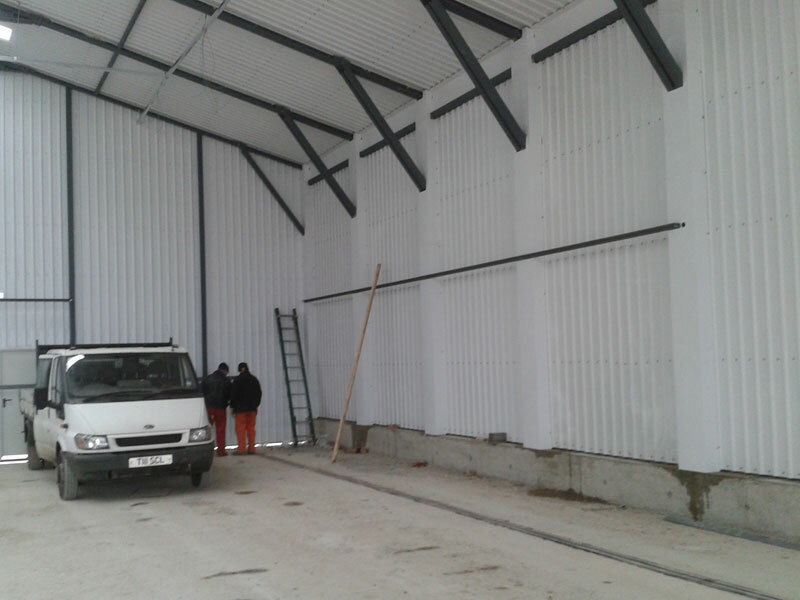 2 no roller shutter doors fitted by others. 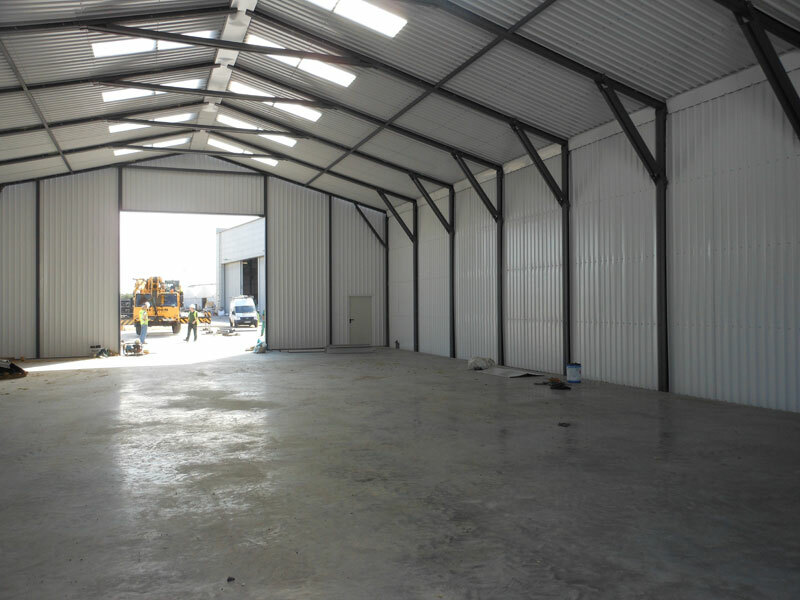 Storage / Workshop Building. 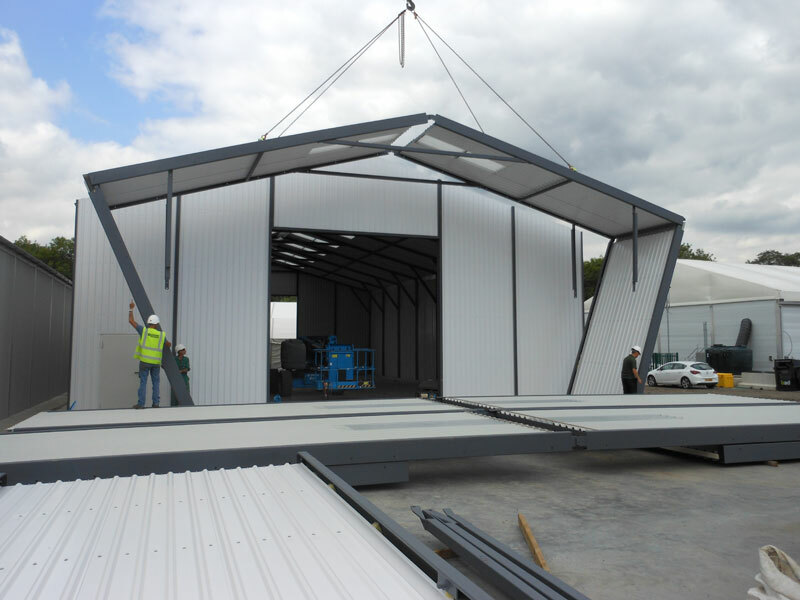 11.8 metre span x 43.8 metres long x 5.51 metres eaves. Specification included 2 no. 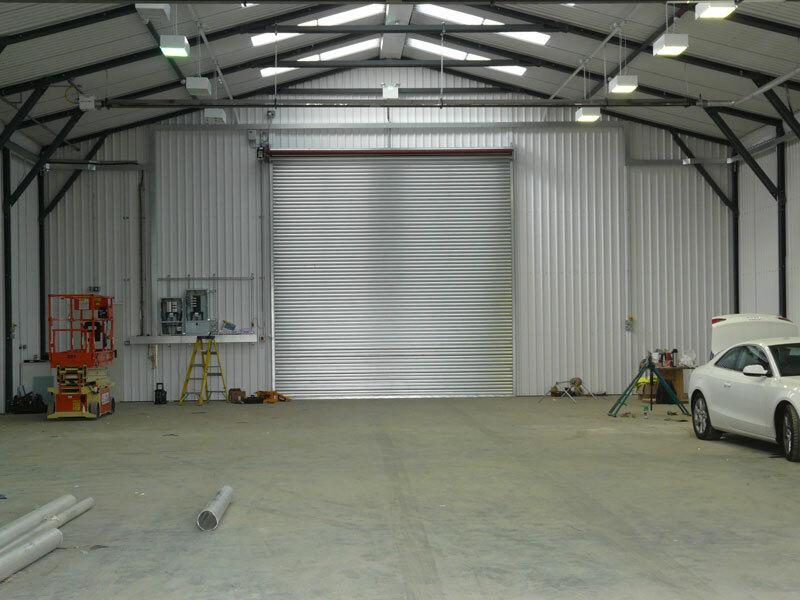 3 phase operated insulated roller shutter doors, an internal partition with 60 minute fire insulation and 3 no. personnel doors. 1 no. internal partition. 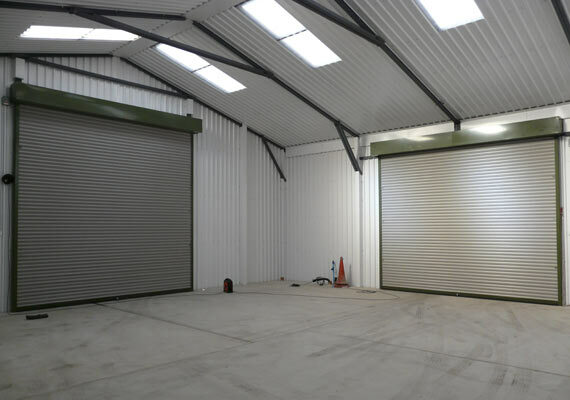 2 electrically operated roller shutter doors to one side partition. 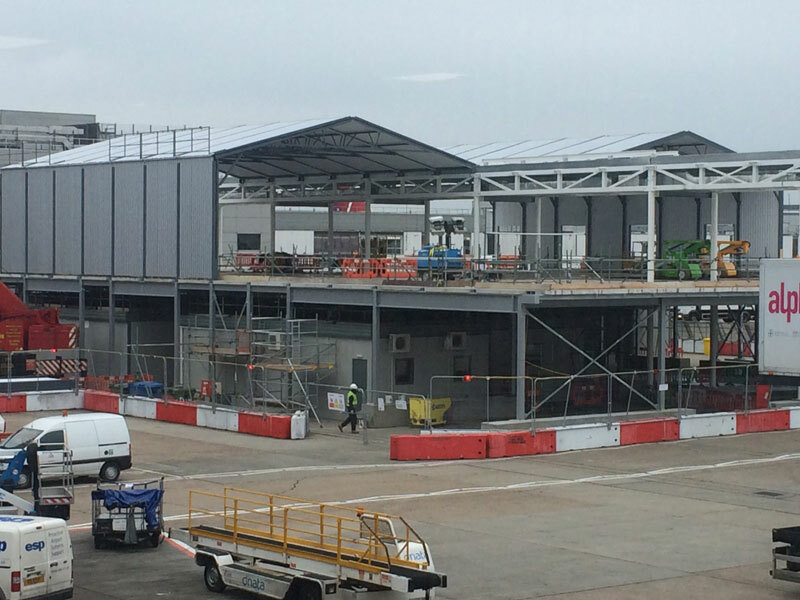 Erection completed in approximately 16 days. Specification included 2 no. 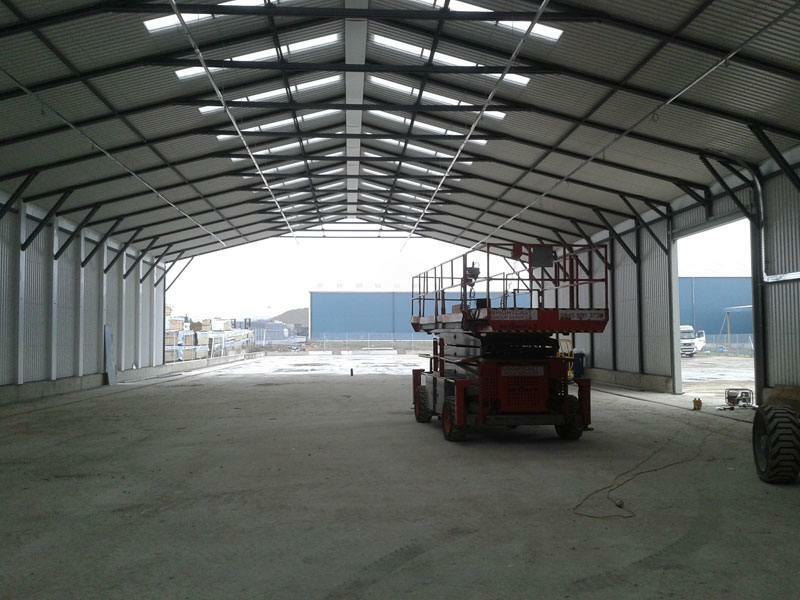 3 phase operated insulated roller shutter doors, an internal partition with 60 minute fire insulation and 3 no. personnel doors. 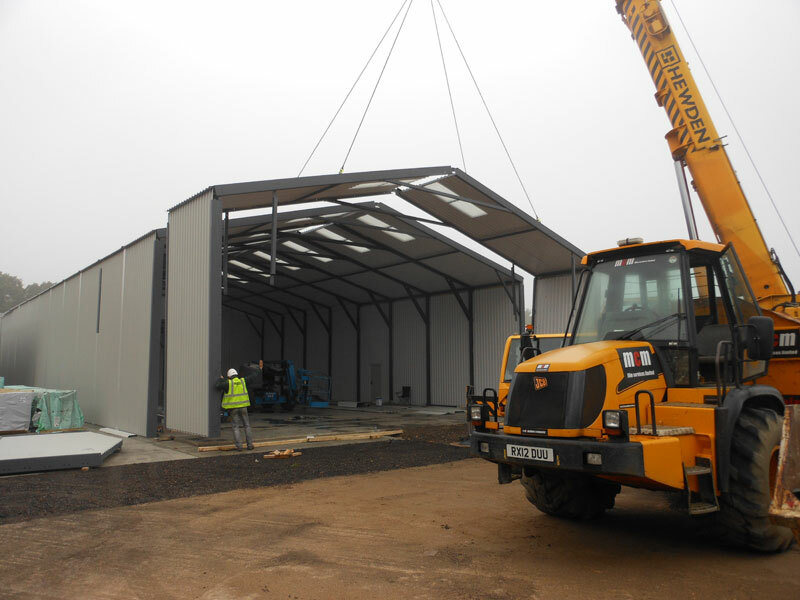 Building relocated from storage at Quickway’s yard, and new modules added to double the floor area of the original structure. 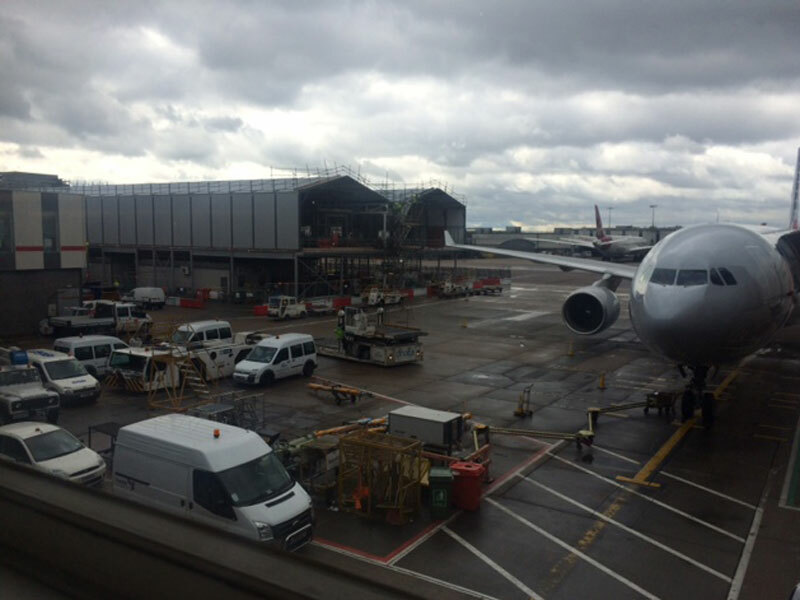 Re erection / enlargement completed in approximately 15 days. 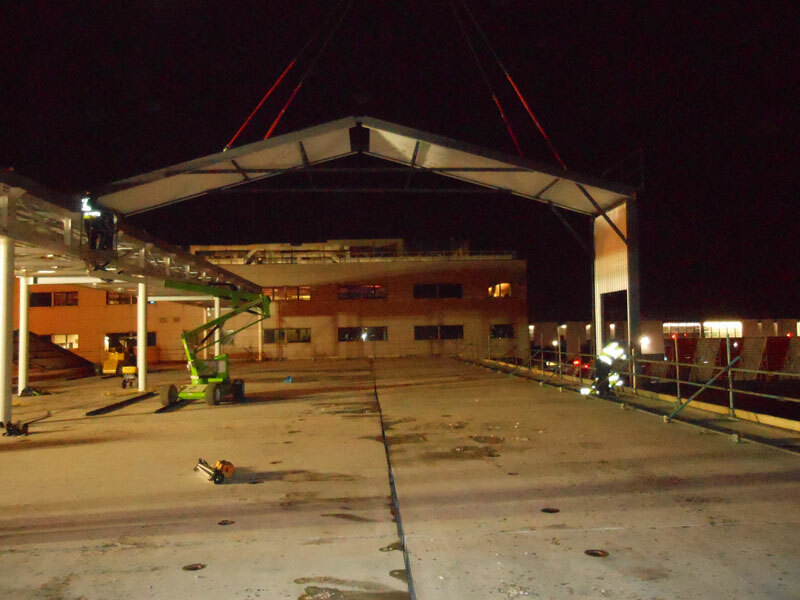 24.00 metres span x 16.7 metres long x 6.0 metres eaves height. 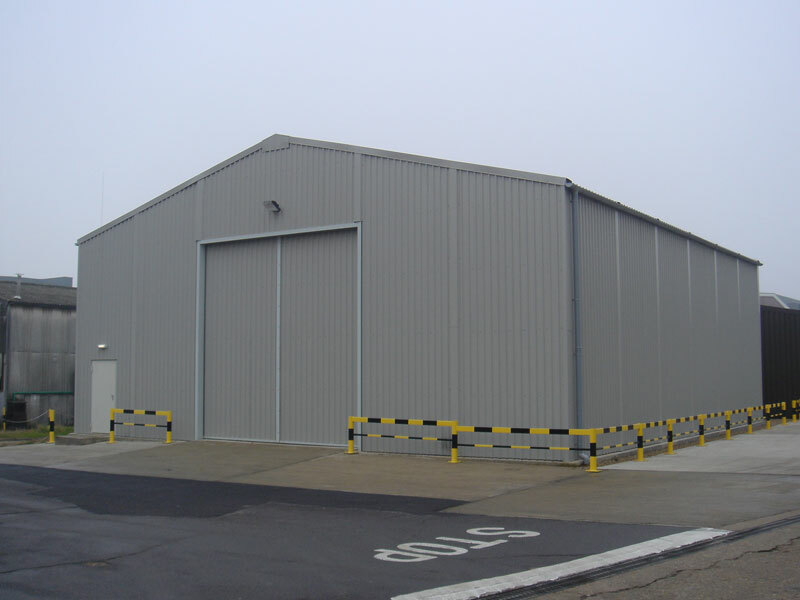 Non insulated stores building, with manually operated roller shutter door to front, and 2 no. 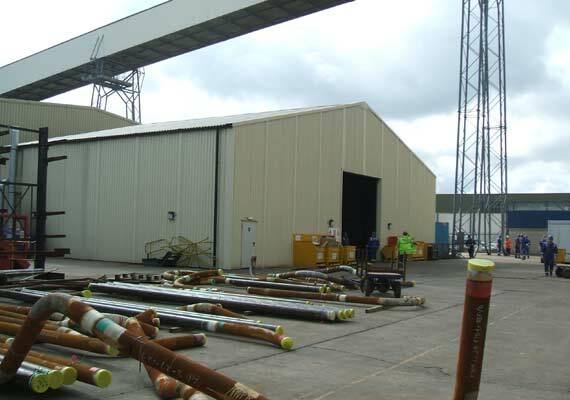 personnel doors. 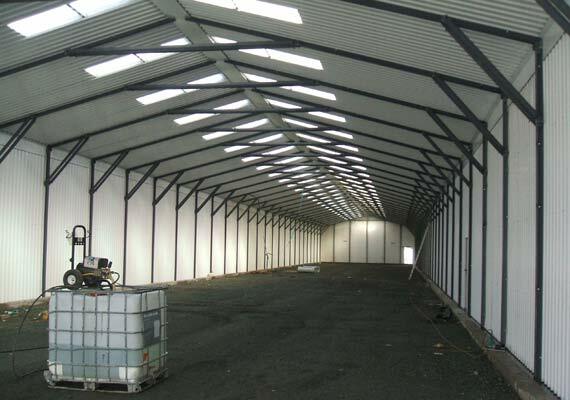 24.00 metres span x 35.6 metres long x 6.00 metres eaves height.2 no. 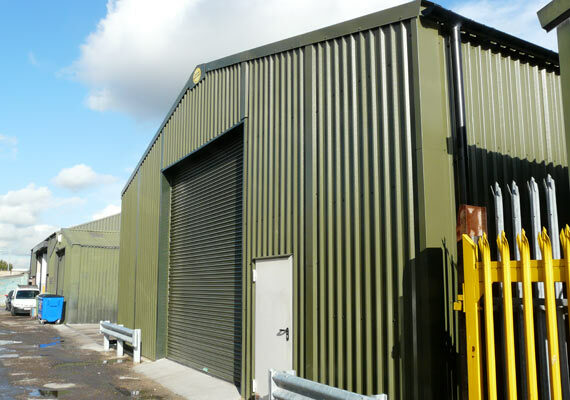 3 phase operated roller shutter doors to front gable end, 3 no. 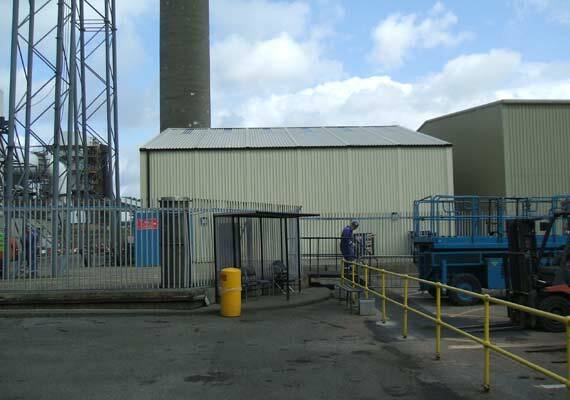 personnel doors, 1 glazed double door set and 29 no. window frames. 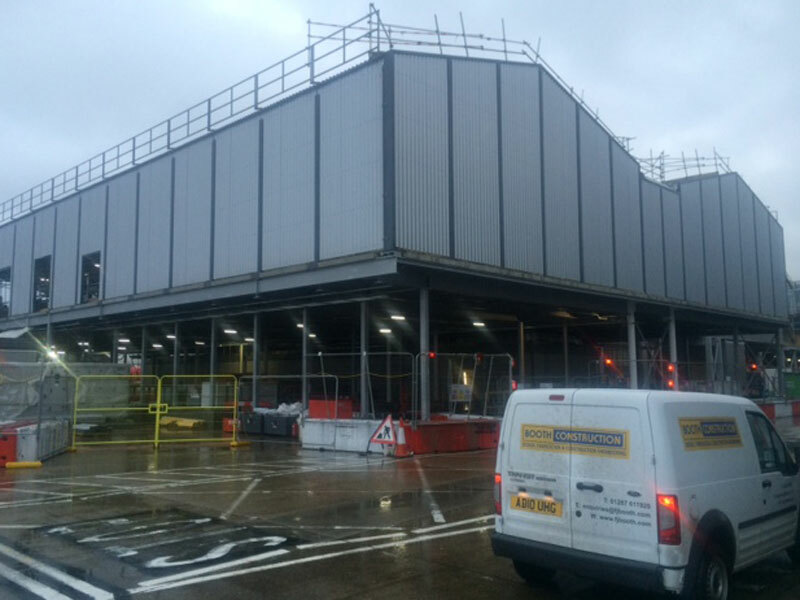 Site erection completed in approximately 25 days. Kent. 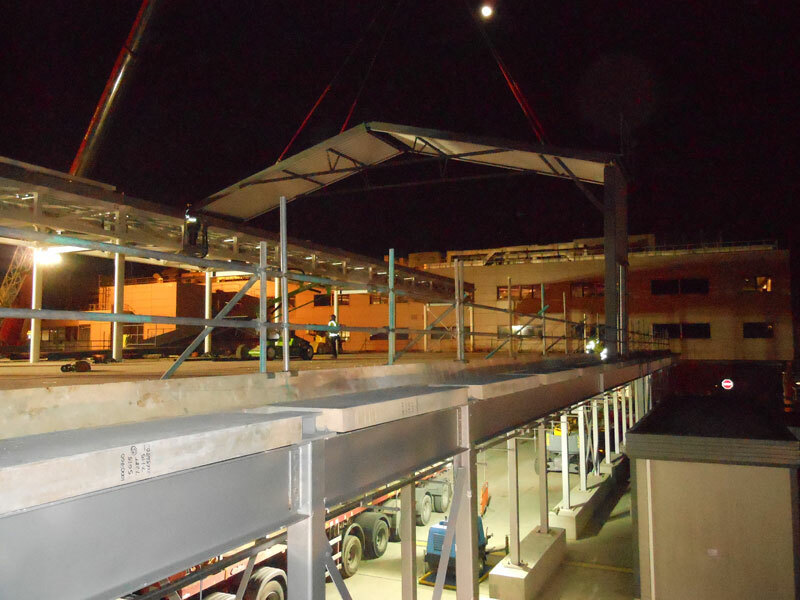 24.00 metres span x 35.6 metres long x 6.00 metres eaves height.2 no. 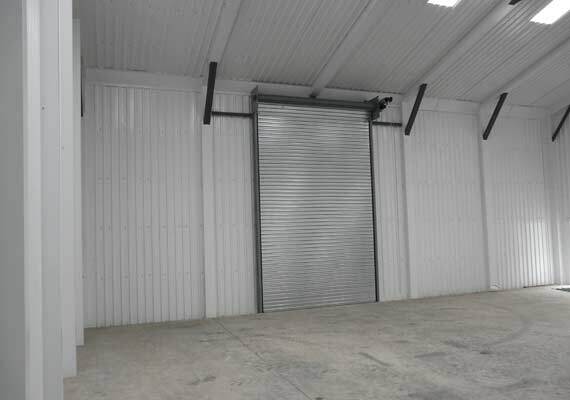 3 phase operated roller shutter doors to front gable end, 3 no. 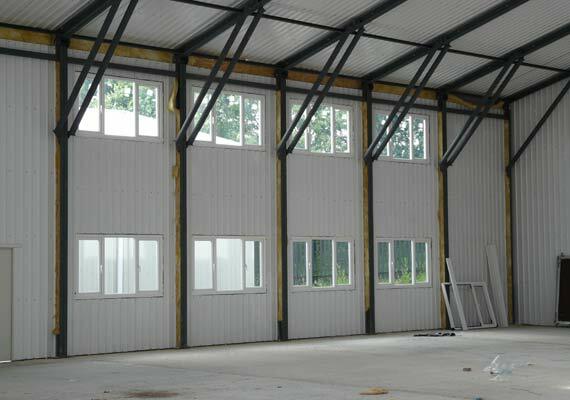 personnel doors, 1 glazed double door set and 29 no. window frames. 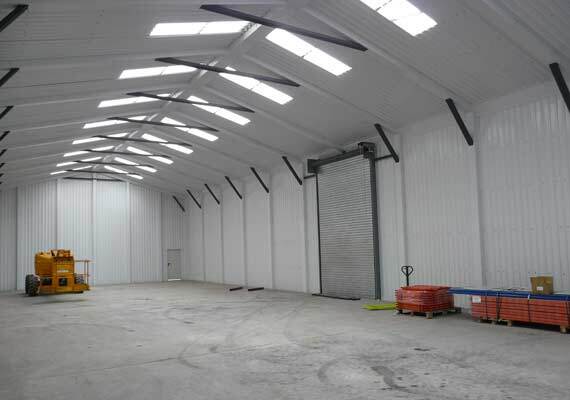 Relocation and extension of existing 10 year old 20.00 metres span x 49 metres long building with an eaves height of 5.51 metres. 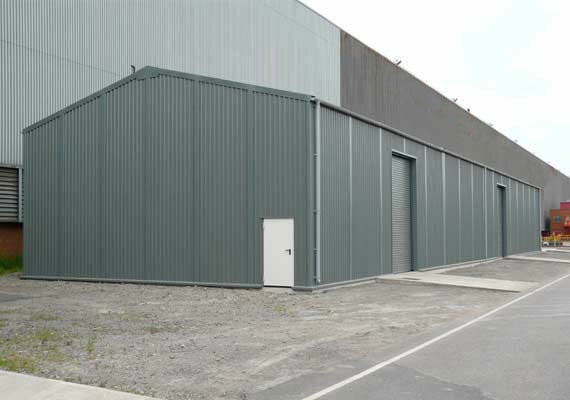 A further 18 modules were added to provide a building 98 metres long with a floor area of 1,980 m2. 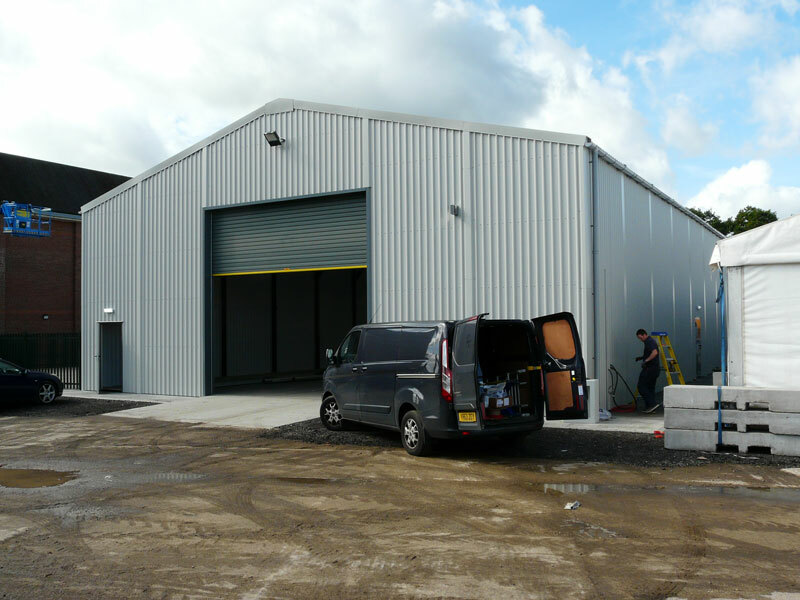 An additional side opening covered by a 3 phase operated roller shutter door was also incorporated. 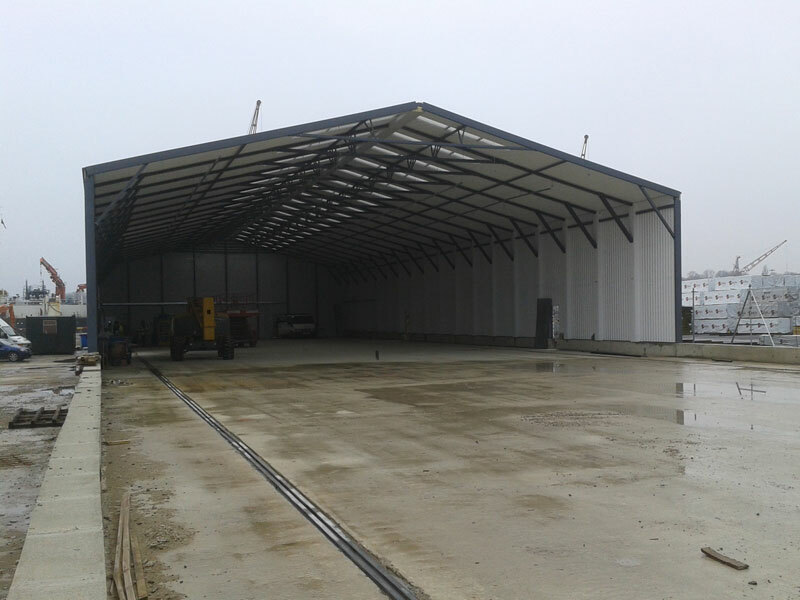 15.00 metres span x 17.86 metres long x 5.51 metres eaves insulated car workshop building with 1 no. 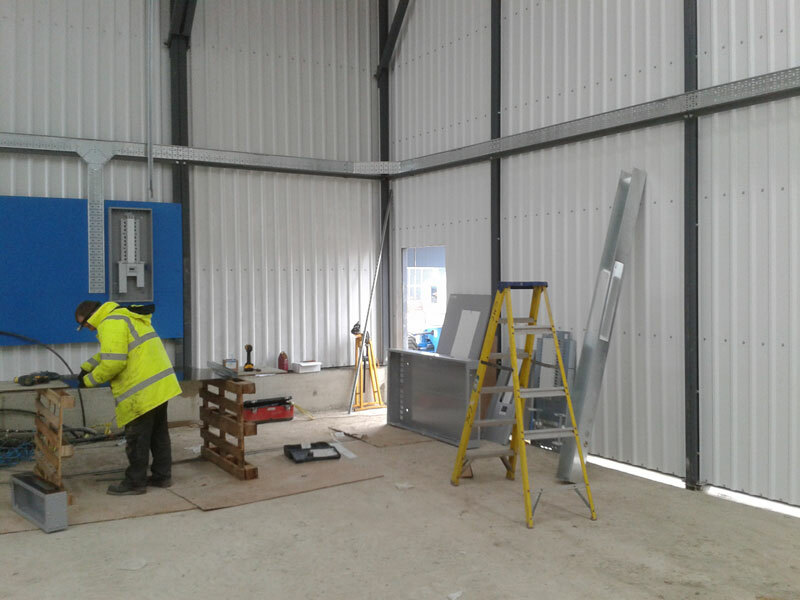 3 phase operated roller shutter door to the front gable end. 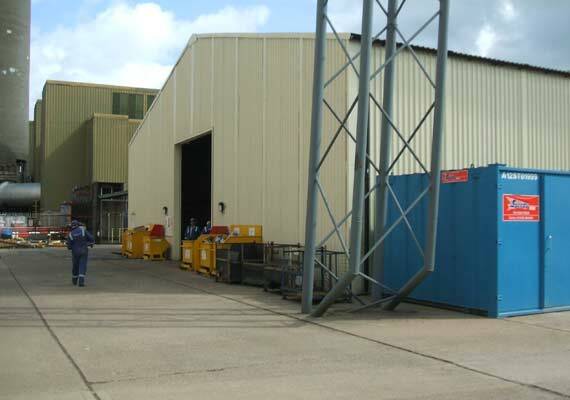 2 personnel doors. 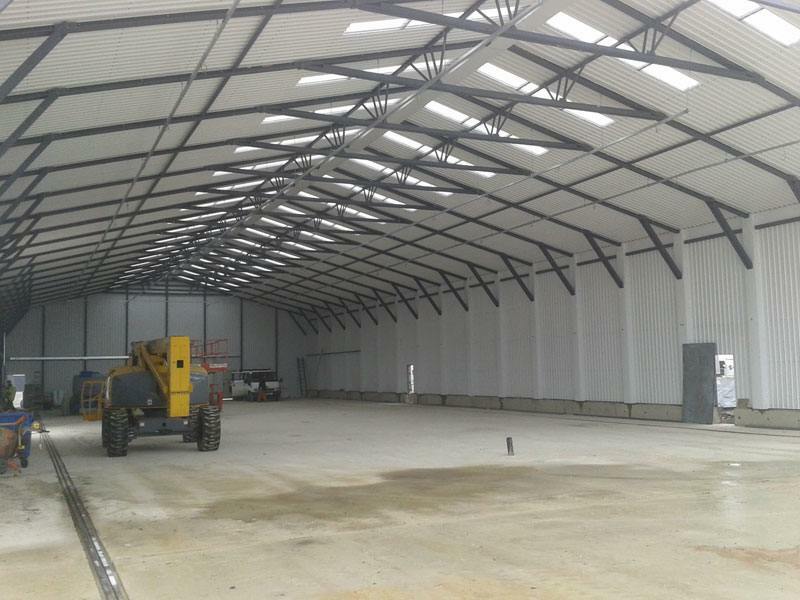 12.00 metres span x 24.7 metres long x 4.425 eaves height. 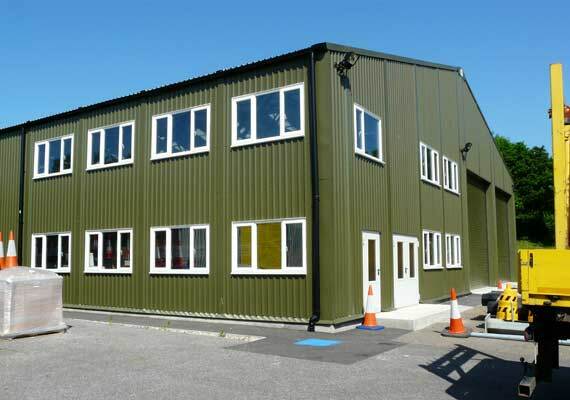 Originally a non insulated building supplied and erected in 2003, this building was re clad, insulated and relocated by the client on a newly prepared base. 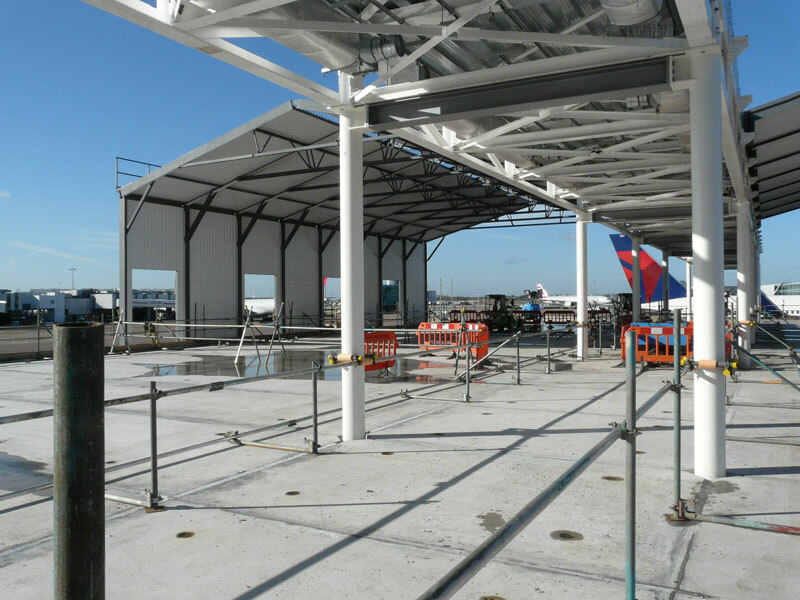 Quickway Buildings were commissioned to supply a Quickway building modified in line with the architect’s requirements for a temporary flight connection centre at Heathrow Airport.